The project coordinator Rev. Herbert Nuworkpor, could not hide his elation at the completion of the project having spent much time and energy on it. He declared, at long last the battle has ended!!!! "At long last the battle is over and Ketasco has overcome an infrastructural deficit. The project was made much bigger than originally projected which meant more funds were required. I want to express our sincere gratitude to Dr. Bella and all other contributors who made sure that this project did not stall," he said. At the official commissioning ceremony, it was revealed to the admiration of all that the court had been named after Dr. Bella Bello Bitugu. Dr. Bitugu played a pioneering role in the construction of the court, directly and indirectly, sourcing for the necessary funding for the project. It was announced that the Ministry of Sports Austria had contributed about 80 per cent of the total cost of the project while some groups and individuals had also made some contributions whose names are acknowledged on the official plaque in front of the court. Dr. Bella rolled back the years and told the gathering about his early beginnings at Keta. “I was once here at Ketasco. 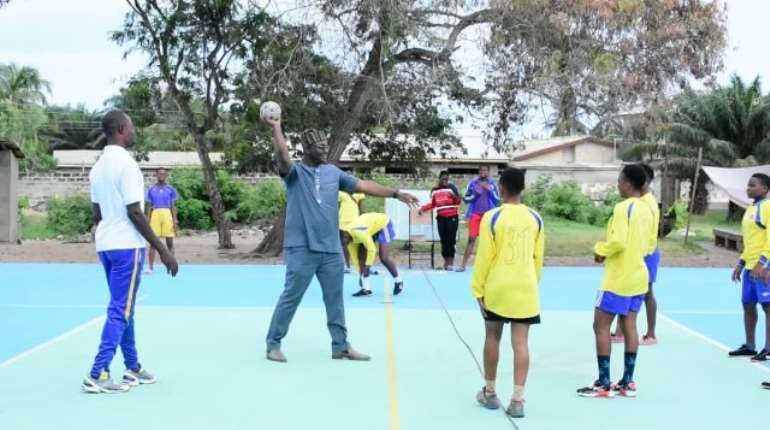 In house 1, Quao House…Sports is supposed to bring people together and create a holistic and well-fashioned person for tolerance, understanding, time management, focus and perseverance,...qualities hardly taught in the classroom” he said to wild applause from the student body. And he had a special message to the Austrian Ministry of Sports with whose support the project materialized. “I want to thank the Austrian Ministry of Sports, the Austrian Government and VIDC, Vienna and all the people involved in getting us here,” he said. The Dr. Bitugu Multipurpose Sports Court is well equipped to host the major indoor events such as basketball, handball, volleyball, badminton, table tennis among others. 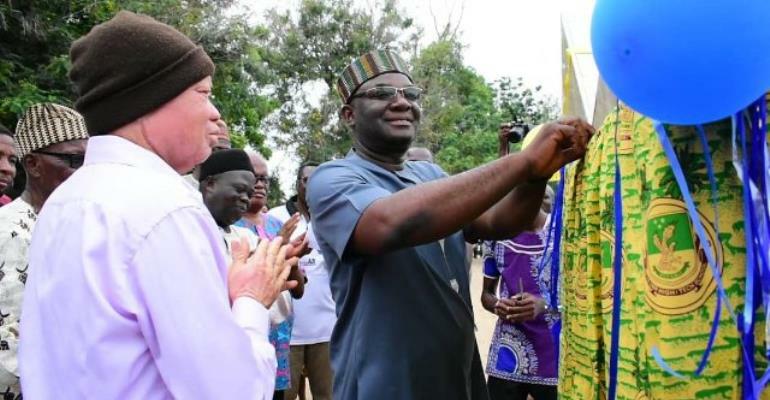 The entire South Zone Schools and Colleges Sports Association and Volta Region stand to benefit from the use of the facility. It appears the commissioning of the facility has come at the right time to solve a major infrastructural deficit and hundreds if not thousands of school children would benefit from the use of the Dr. Bitugu Multipurpose Sports Court well into the near future.